The 2012 Duchman Vermentino sourced from the Bingham Family Vineyard is clean, crisp and a perfect patio sipper for summer with light citrus and pear aromas and flavors. It would be a great pairing for any salad or simple, grilled seafood. 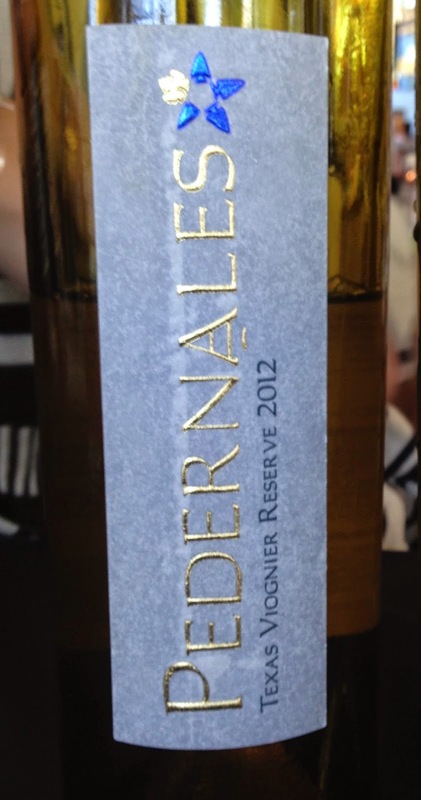 The 2012 Pedernales Viognier Reserve was a treat to try. With peach, honeysuckle, and buttered toast aromas and flavors, this smooth, fuller bodied white has great pairing potential but you can also keep it simple with herb roasted chicken and vegetables. It took top Viognier honors at the Lyon International Wine Competition in France, the only winery in the U.S. to do so. I have previously recommended the non-reserve version in Galveston Monthly. It is easier to find and also very good. The 2012 Brennan Vineyards Super Nero from Commanche County was an easy drinking summer red made from Nero d' Avola. It has a cranberry, smoke and spice character that would work with pasta, grilled meat or pizza. I was equally excited about both of the Bending Branch reds. The 2011 Newsom Vineyard Tempranillo was fresh and balanced with cranberry, coffee and smoky tobacco. The 2011 Texas Tannat was big and rich with black cherry, pepper and dried herbs. Two great wines for Texas brisket. All recommended! Check out the wineries for more special selections not available in stores.